Come celebrate the arrival of 2019 alongside the Honourable Elizabeth Dowdeswell, Lieutenant Governor of Ontario! 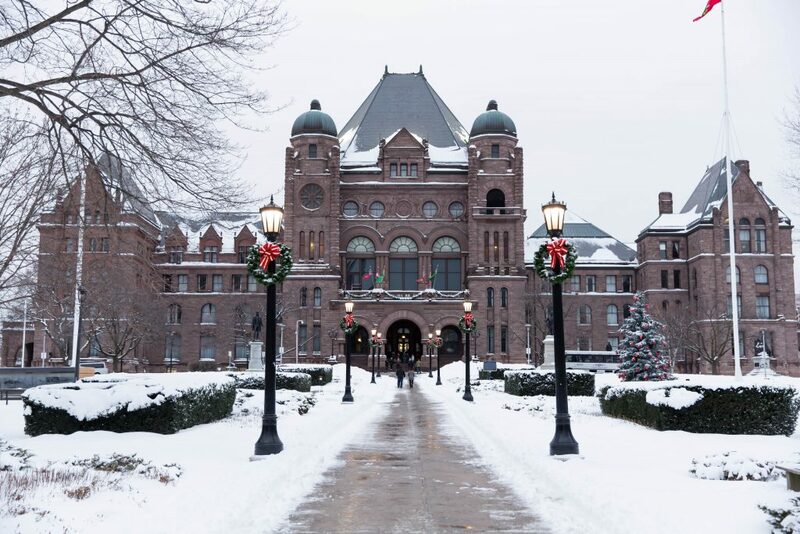 You are cordially invited to the Lieutenant Governor’s 2019 New Year’s Levee on Tuesday, January 1, 2019 from noon to 2 p.m. in the Lieutenant Governor’s Suite at Queen’s Park in Toronto. Admission is free and open to the public. No RSVP needed. The New Year’s Levee is a unique chance to meet Her Majesty’s representative in Ontario, learn about the Lieutenant Governor’s role and responsibilities, enjoy local entertainment, and engage with fellow citizens. Photos taken during the New Year’s Levee will be posted online a few days following the event. It is recommended that you arrive by public transit. The closest TTC subway stations are Queen’s Park and Museum. The nearest streetcar stop is University Avenue on the 506 Carlton line. Please allow extra time for parking and a short level walk to the Legislative Building. There is no parking at Queen’s Park. Paid parking may be available nearby at the University of Toronto. Media are encouraged to cover the New Year’s Levee.